Karin Bojs grew up in a small, broken family. At her mother's funeral she felt this more keenly than ever. As a science journalist she was eager to learn more about herself, her family and the interconnectedness of society. After all, we're all related. And in a sense, we are all family. My European Family tells the story of Europe and its people through its genetic legacy, from the first wave of immigration to the present day, weaving in the latest archaeological findings. 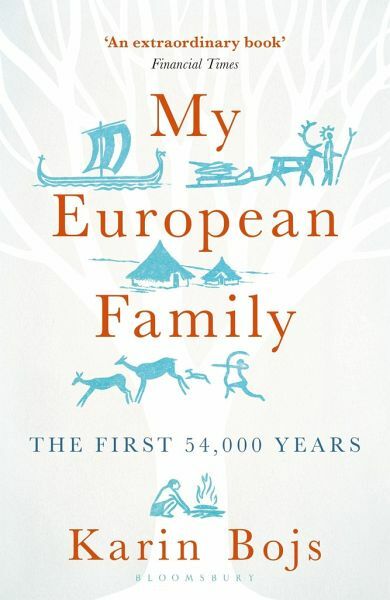 Karin goes deep in search of her genealogy; by having her DNA sequenced she was able to trace the path of her ancestors back through the Viking and Bronze ages to the Neolithic and beyond into prehistory, even back to a time when Neanderthals ran the European show. Travelling to dozens of countries to follow the story, she learns about early farmers in the Middle East and flute-playing cavemen in Germany and France, and a whole host of other fascinating characters. 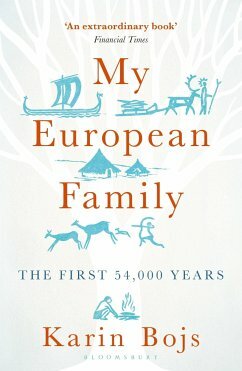 This book looks at genetics from a uniquely pan-European perspective, with the author meeting dozens of geneticists, historians and archaeologists in the course of her research. The genes of this seemingly ordinary modern European woman have a truly fascinating story to tell, and in many ways it is the true story of Europe. At a time when politics is pushing nations apart, this book shows that, ultimately, our genes will always bind us together. Chapter 33 : Am I a Viking?